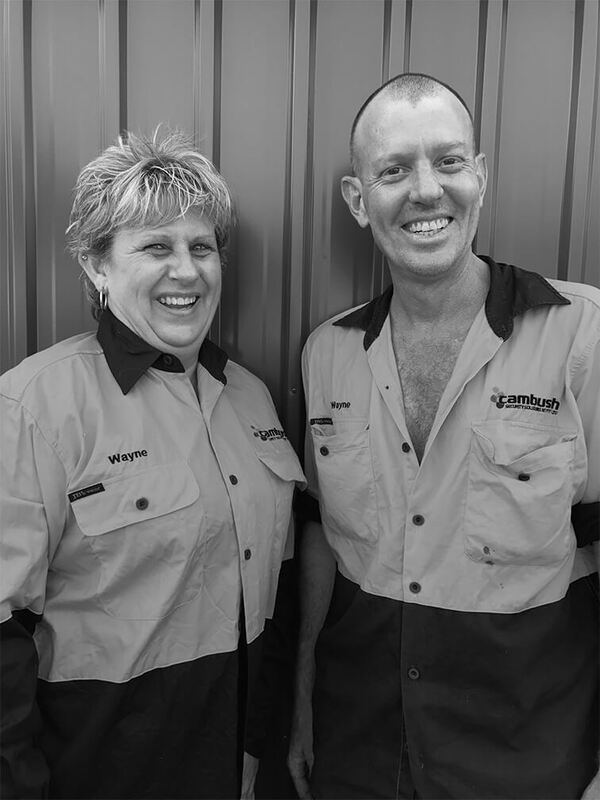 Cambush Security Solutions was founded by Wayne Bush and Anne-Marie Mitchell to provide customer centric security solutions to meet the requirements of local commercial, industrial, government and retail clients across the Top End. Cambush provides the latest in security technology to the Northern Territory specialising in the installation of alarm systems, access control, CCTV systems and intercoms. Wayne Bush and his team of expert technicians employ a methodology of “What combination of products is best for this customer?” as every security solution is tailored to suit the needs of the individual business as no two solutions are ever the same. At Cambush we collaborate with our clients to discover the best possible security solutions at an efficient cost. We will guide you through the planning, design, installation and implementation of your required security system to ensure your intrusion and loss prevention needs are met. “Our emphasis is on delivering quality, innovative, state of the art, expert security solutions to the Top End. We keep abreast of technology trends to ensure our customers have access to invest in the best solutions available on the market today” Wayne Bush. To exceed our clients specific and customised security needs by delivering the highest quality security solutions supported by strong technical and maintenance services with around the clock support 24/7 when our clients need us the most. Our Vision is to become the security installer of choice across the Top End. At Cambush we strive for excellence in every aspect of our operations by providing professional customised security solutions from first point of contact through to project completion and beyond. With our vast experience in all aspects of commercial and residential security and a passion for unsurpassed customer service, we always go the extra mile to ensure our clients get the security solution that best meets their needs. Cambush Security Solutions provides a customer centric approach to our client’s security requirements. We care that our clients receive proactive security solutions that meets their expectations, unique security needs and are delivered to the highest quality standards. Cambush Security Solutions is committed to conducting all business in a responsible manner to ensure the health, safety and security of our staff, preservation of the environment, quality of our products and services and compliance with all applicable regulatory requirements. Like security, safety is our priority. Our implemented Health and Safety Management System guides us to achieve our commitment to providing a safe workplace for all our employees, contractors, clients and visitors. Cambush is committed to minimising our carbon footprint. We are committed to minimising the impact of any environmental risks and incidents occurring in the workplace and have systems in place to ensure the environment is protected. Our Quality Assurance to our clients has been built on the philosophy of continuous improvement and our meticulous quality management system that is implemented across all projects we undertake. The hardest working team you will come across in the Darwin.